The establishment of the national research center will encourage research and development, initiatives and industry in the field of smart transportation in Israel as well as streamline transportation services through integration of advanced technology. Further to Government Resolution 2316 regarding establishing a national program for smart transportation, the Planning and Budgeting Committee declared this week that the Technion and Bar-Ilan University (joint proposal) won the bid to establish the National Center for the Promotion of Smart Transportation Research, at a total cost of approximately NIS 25 million. In the proposal request that was distributed several months ago to Israel’s research universities, it was emphasized that one of the center’s primary roles would be to bring together Israel’s research community for the purpose of encouraging and promoting smart transportation research and development. The center will work to encourage cooperative ventures between all interested parties, including researchers from academia and R&D centers, in Israel and overseas, in fields relevant to smart transportation. Likewise, the center will work to encourage and promote cooperative ventures between Israel’s scientific community, on the one hand, and entrepreneurs and industry in the transportation field, on the other, from Israel and throughout the world. The establishment of the center significantly contributes to the implementation of the government resolution in the national plan for smart transportation, that is being jointly advanced by the Ministry of Transport and Road Safety and the Prime Minister’s Office. The plan has two main goals: The first is to encourage R&D, initiatives and industry for smart transportation in Israel and the second is streamlining transportation services by the integration of advanced technology. Smart transportation incorporates a broad vision that emanates from the social and technological changes that are expected to fundamentally change the field of transportation as we know it today. 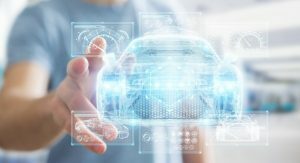 These changes include installation of technological devices in vehicle safety and driving control, vehicle computerization, and the widespread use of smartphones and databases that together should bring about an integrated transportation that is autonomous, cooperative, and electric. Research in the field of smart transportation is interdisciplinary in its essence, and cooperation between researchers in different institutions and between academia and industry is of utmost importance. Therefore, for there to be progress in the field, research cooperation is needed in a broad constellation of fields, such as mathematics, business administration, computers, engineering, architecture, and geography, and subfields such as smart transportation systems, big data, programming and optimization, robotics, artificial intelligence, human behavior, digital image processing, network optimization, cyber security, etc. To strengthen the smart transportation field in Israeli academia, including the organization of an active academic community in this field. To serve as a center of knowledge for smart transportation R&D, both in academia as well as in the academia-industry interface (Point of Contact (POC)) in Israel and similar entities throughout the world. To encourage smart transportation cooperative ventures in the academia-industry interface, in Israeli academia, and with such entities worldwide. To advance and encourage research in the smart transportation field on a national level, by initiating programs based on the center’s products, analysis and identification of requirements and familiarity with the academia-industry interface. Head of the new center, Prof. Yoram Shiftan, from the Technion’s Transportation Research Institute: “The transportation system in Israel and worldwide is about to undergo an enormous and fundamental change – the smart transportation revolution – due to technological and social changes and the constant rise in traffic congestion. This revolution poses significant challenges to academia, industry, and decision makers. I view the future center as an opportunity to unite the relevant community – researchers, industry players, entrepreneurs, local authorities, R&D centers, and interested parties from Israel and abroad – to advance interdisciplinary and interinstitutional studies that will contribute to smart transportation that is safe, effective, and green, and that will position Israel as an international leader in the field.